Herman Cain is an American politician and author, business executive, radio host, syndicated columnist, and Tea Party activist from Georgia. He was a candidate for the 2012 US Republican Party presidential nomination. He had a successful carer as a business executive at Burger King and Godfather's Pizza, both subsidiary of Pillsbury Company between 1981 and 1988. He later served as the chairman of the Federal Reserve Bank of Kansas City Omaha, deputy chairman and later chairman of the Federal Reserve Bank of Kansas City between 1989 and 1996. He served as the CEO and president of the National Restaurant Association between 1996 and 1999. He has also served as a member of the board of directors of several companies, Aquila, Inc., Nabisco, Whirpool, Reader's Digest, and AGCO. He later became active in politics. Donald Trump, president of the United States is recommending Herman Cain for a seat on the Federal Reserve Board. The 73-years old Cain is a former pizza executive who announced his candidacy for the 2012 Republican presidential election. But, he later dropped his bid for the presidency following allegations of sexual harassment and misconduct. What is Herman Cain Famous For? One of the successful business executive. candidate for the 2012 US Republican Party presidential nomination. Where was Herman Cain Born? Herman Cain was born on 13 December 1945. He was born to a father, Luther Cain Jr., and a mother, Lenora (Davis) Cain. His birth place is in Memphis, Tennessee in the United States. He holds American nationality. He grew up in the west side of Atlanta, Georgia. He attended Archer High School. He graduated from high school in 1963. He then attended Morehouse College, where he graduated with a Bachelor of Science in mathematics in 1967. He later enrolled at Purdue University, where he graduated with a Master of Science in Computer Science in 1971. He worked as a ballistics analyst for the US Department of the Navy as a civilian while he was pursuing his master's degree. After completing his master's degree, he left the Department of the Navy and started working as a computer analyst for The Coca-Cola Company in Atlanta. In 1977, he moved to Minneapolis to join Pillsbury. He became the director of business analysis in its restaurant and foods group in 1978. He was assigned to analyze and manage Pillsbury subsidiary, 400 Burger King stores in the Philadelphia area during the 1980s. Following his success at Burger King, Pillsbury appointed him president and CEO of another subsidiary, Godfather's Pizza in 1986. He then served as chairman of the board of the Federal Reserve Bank of Kansas City Omaha Branch from January 1989. He became a member of the board of directors of the Federal Reserve Bank of Kansas City in 1992. He served as deputy chairman from January 1992 to December 1994. He then served as its chairman from January 1994 to August 1996. He resigned from the chairman of the Federal Reserve Bank of Kansas City to become active in national politics. He left Godfather's Pizza in 1996 and moved to Washington, D.C. He served as CEO of the trade group and lobbying organization for the restaurant industry, National Restaurant Association from 1996 to 1999. He was previously on its board of directors. He was on the board of directors of several companies, including Aquila, Inc., Nabisco, Whirpool, Reader's Digest, and AGCO, Inc. He then returned to Omaha in 1999 after his term with the restaurant advocacy group ended. He moved to his hometown of Atlanta in 2000. He writes a syndicated op-ed column. It is distributed by the North Star Writers Group. He appeared in the documentary An Inconvenient Tax in 2009. He hosted The Herman Cain Show on Atlanta talk radio station WSB from 2008 to 2011. He started working for WSB again in January 2012. He provides commentaries and occasionally fills for Erick Erickson and Neal Boortz. In October 2012, he started writing weekly online columns for the media organization Newsmax in a series titled "9-9-9 To Save America". Upon Boortz's retirement, he took over Boortz's radio talk show in January 2013. The show was dropped from the Westwood One Radio Network in December 2016 and continued to air in limited syndicated through WSB's owner, Cox Radio. He joined the Fox News Channel as a contributor in February 2013. He received the 1996 Horatio Alger Award. He has received honorary degrees from Creighton University, Johnson & Wales University, Morehouse College, the University of Nebraska-Lincoln, the New York City College of Technology, Purdue University, Suffolk University, and Tougaloo College. Cain as president-elect of the National Restaurant Association publicly opposed the Clinton health care plan of 1993. Jack Kemp, Conservative politician and former housing secretary was so impressed with Cain's performance and chartered a plane to Nebraska to meet Cain after the debate. Cain credits Kemp with his becoming interested in politics. He was a senior economic adviser to the Bob Dole presidential campaign in 1996. He briefly ran for the Republican presidential nomination in 2000. He endorsed Steve Forbes after ending his own campaign. He ran for the US Senate in Georgia in 2004 and finished second in the primaries. He started working for the political advocacy group Americans for Prosperity (AFP) in 2005. He addressed more than 40 Tea Party rallies in 2010. He announced his candidacy for 2012 presidential campaign in May 2011. He won the straw polls of the Florida Republican Party, TeaCon, and the National Federation of Republican Women's Convention. His 9-9-9 plan attracted skepticism from his fellow candidates at numerous Republican debates. Politico reported in late October 2011 that Cain had been accused by two women of sexual harassment and misconduct during his time as CEO of the National Restaurant Association in the late 1990s. Two additional women made harassment accusations later. He denounced allegations of sexual harassment and adultery as "character assassination" during an event in Dayton, Ohio in November 2011. He announced in December 2011 that he was "suspending" his campaign for the presidency following allegations of sexual harassment and adultery. Who is Herman Cain Married to? 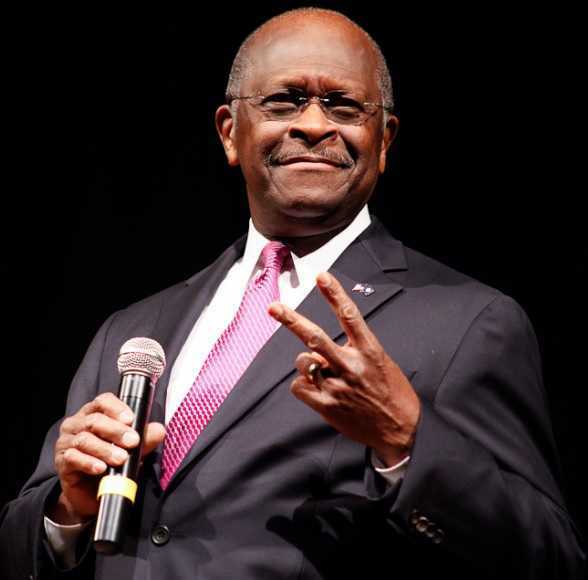 Herman Cain is a married man. He is married to Gloria Cain. They got married in 1968 soon after her graduation from Morris Brown College. She is a homemaker. She also has experience as a teacher and a librarian. The couple has two children and three grandchildren. He was diagnosed with Stage IV cancer in his colon and metastases to his liver in 2006. He was given a 30 percent chance of survival. He underwent surgery and chemotherapy. He is in remission after treatment. He also serves as an associate minister at Antioch Baptist Church North in Atlanta. 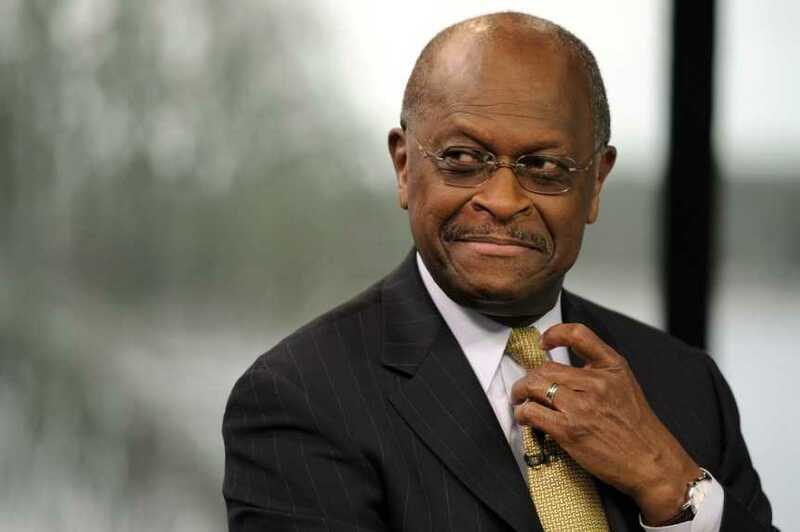 What is Herman Cain's Net Worth? Herman Cain is one of the successful business executives. He later became active in national politics. As of 2019, his net worth is estimated at $18 million.